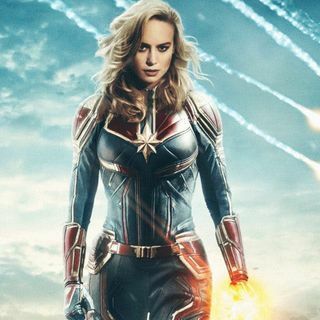 Captain Marvel is set to premiere, and with it, the next phase of the Marvel Cinematic Universe begins. So why are so many fans convince that Brie Larson hates white men, and review-bombing the movie on Rotten Tomatoes? For that matter, why are people who are actually excited for the amazing-looking movie allowed to leave reviews when none of these people have seen the movie? Kind of kills your credibility, RT - maybe wait until it’s possible that some of these people have actually seen the ... Maggiori informazioni film, and developed an opinion rather than a bizarre conspiracy theory? I’m just saying. Also check out my appearance on a terrific podcast, How Do You Solve a Problem Like Mariah. It's a great show with a terrific host, who was kind enough to interview me on her latest episode, about the weird but fun way in which I broke into the entertainment business, and got my first internship working for the Red Hot Chili Peppers. I'm featured on the most recent episode as of this writing, episode 13.